After the brutal Salzburg rejection of the UK’s Chequers Proposals the Irish border remains the main impediment to progress on concluding a Withdrawal Agreement. The PM should move to proposing a free-trade agreement with the EU and should return to earlier ideas about a minimal land border between Northern Ireland and the Irish Republic. As we predicted, Chequers has been rejected by the EU. Since EU leaders must have known for weeks that this would be their verdict, the decision to publicly humiliate Theresa May at an international conference will go down in the annals of British political life as an example of EU high-handedness. The previous EU Commission President, Jose Manuel Barosso recently said that the Brexit negotiations must not conclude with deep resentment on either side. To say the least, Salzburg was a strange way of setting about achieving this desirable end. The EU has rejected an application of Single Market rules to goods alone and will not accept the complex Facilitated Customs Plan. But it is prepared to accept the free trade agreement that was embedded in Chequers. 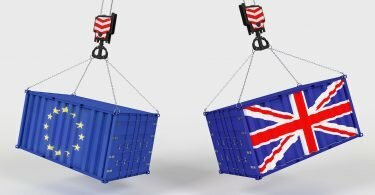 The PM may well attempt to tweak the details of Chequers and have another try at persuading the EU, but a much better option is to opt instead for a straightforward free trade agreement. Additional equivalence recognition for regulations in key products, plus maximal efficiency at UK borders and trusted trader status for all major traders including the car companies, should achieve something close to frictionless borders at Dover and other roll-on/roll-off (‘ro-ro’) ports to meet the needs of the just-in-time manufacturers. The outstanding problem remains at the Irish border, and the EU dug in their heels at Salzburg. They are still demanding that their backstop be adopted despite Theresa May’s strong and repeated statements that Northern Ireland cannot be treated separately from the rest of the UK. As the prime minister now returns to the drawing board on the Irish border, it is worth rehearsing how we got into the absurd situation where the Irish border is dictating the nature of our leaving the EU. It is now clear that the Irish Government persuaded the EU to include the border in the ‘stage one’ withdrawal process. Jose Manuel Barosso recently explained that the Commission normally accedes to such requests from small member states, but expects future co-operation in return. In this case, the price may be Irish acceptance of EU competence over corporation tax, effectively ending Ireland’s lucrative position as a tax haven. The stand-off between the UK and the EU began with the bizarre wording used in the December 2017 Joint Progress Report, to provide a ‘backstop’ to kick in if no trade or customs deals were agreed. The infamous paragraph 49 stated that, ‘In the absence of agreed solutions, the United Kingdom will maintain full alignment with those rules of the Internal Market and the Customs Union which, now or in the future, support North-South cooperation, the all-island economy, and the protection of the 1998 Agreement’. This gave the EU an effective veto, since their agreement would be needed to avoid using the backstop. It is this veto that they are now using and will continue to use. This wording has come to be viewed by prominent Remainers, including recently retired senior civil servants such as Sir Martin Donnelly, as promising full alignment for Northern Ireland. [i] In other words, the caveats in the sentence above, which qualify the areas in which alignment will apply, are often ignored. More importantly, the sentence is assumed not to apply to the UK as a whole. This is the interpretation of the Irish Government and the EU which led to the hard-line interpretation of the Protocol on Ireland/Northern Ireland in the March 2018 EU Draft Withdrawal Agreement. The protocol baldly asserts that Northern Ireland will remain within the EU Customs Union, with no tariffs or quotas between the EU and Northern Ireland and observing EU law on VAT and excise duties. This assertion that Northern Ireland must remain within the Single Market and Customs Union necessarily means that the EU trade border moves to the Irish Sea, an idea strongly and immediately rejected by the UK Government and Parliament. How such contentious drafting was allowed into the Joint Progress Report in the first place is hard to fathom. We know that experienced Northern Ireland Office officials represented the UK, but the view of some senior UK civil servants is that Irish officials had been preparing the trap for months and the UK was outplayed. Pressure from No.10 to move on quickly to phase two of the talks may have contributed to this. The damage was mitigated by the DUP’s refusal to support the original draft. 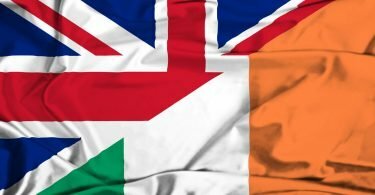 A new paragraph 50 was added agreeing that no ‘new regulatory barriers develop between Northern Ireland and the rest of the United Kingdom, unless …. the Northern Ireland Executive and Assembly agree…’ In this case, Northern Ireland’s unionists could potentially have a veto. But the EU simply ignored this paragraph in its Draft Withdrawal Agreement. In doing so it ignored the key stipulation of the Good Friday Agreement that no fundamental change to the status of Northern Ireland can occur without the agreement of the majority in Northern Ireland. The EU proposals for Northern Ireland in the EU’s Draft Withdrawal Agreement made the stand-off was complete. The Irish border issue should never have been included at the Withdrawal stage, and the inclusion of such an extreme EU interpretation of how it must be addressed is what has caused the present impasse. The UK proposal to resolve the problem was July’s Chequers White Paper. Instead of Northern Ireland remaining within the Single Market, the entire UK would effectively do so – at least for goods. A somewhat comical UK technical note was issued, which repeated the words of the EU’s Draft Withdrawal Agreement but simply replaced every mention of ‘Northern Ireland’ with ‘The United Kingdom’. In the Chequers proposals, a new Facilitated Customs Arrangement for the UK would have mimicked membership of the Customs Union. The net effect was that no border checks would be needed between the UK and EU, either in Britain or in Ireland. This convoluted arrangement, involving the UK carrying out border checks for the EU, would thus make a backstop redundant. The EU hated this idea from the start and it was never a flyer. While the extraction of a commitment to ‘no hard border’ had initially trapped the UK into agreeing arrangements for Northern Ireland before any wider trade agreement was negotiated, Chequers attempted to turn the tables. Now, the EU is being pressed to agree UK proposals for a trade agreement which simultaneously remove the need for a backstop. Last week Michel Barnier announced what he called a ‘concession’. This is the idea that regulatory checks on at least some goods could be undertaken within Britain away from the coast. The border would still be at the Irish Sea, but checks could be done inland in Scotland, Wales or England. If this was seriously thought to help the situation it merely demonstrated a deeper lack of understanding of Northern Ireland’s needs than we feared. While we have always imagined that limited Irish Sea checks need to form part of an eventual solution, in Barnier’s proposal such checks are merely part of the existing EU proposals for keeping Northern Ireland within the Single Market and Customs Union. Wherever the checks are undertaken, the border remains in the Irish Sea – and thus remains completely unacceptable to the DUP, the British government and Parliament. The EU must have known that this was a meaningless concession, and their description of Mrs May’s response as intransigence must been seen as merely another step in the EU’s aggressive negotiating stance. Barnier’s proposal is also far from being a practical backstop. One obvious reason is that a backstop is meant to become operational in the event of ‘no deal’, but ‘no deal’ means the imposition of EU tariffs and probably also UK tariffs. The imposition of tariffs on trade between Great Britain and Northern Ireland is well outside what the DUP or indeed almost any conceivable UK government could agree, no matter where those tariffs are actually collected. 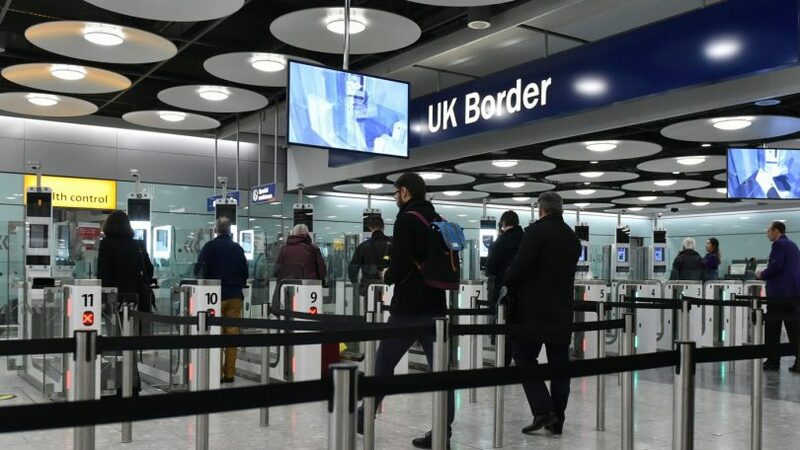 The Times last Monday gave prominence to a story that the EU was after all considering the use of electronic border checks on the Irish land-border – something Brexiteers have always advocated. The Times may well have misinterpreted the documents it saw, but another, perhaps remote, possibility is that the EU knows that Barnier’s latest proposal is a complete non-starter and is preparing alternative ideas that will have wings. Barnier visited Northern Ireland several times as EU Regional Commissioner, and for many years had an ex-Ulster civil servant as chef de cabinet. He knows Northern Ireland and he must have known that what he is proposed could not possibly be accepted by the UK. He is trapped by the EU’s acceptance of an aggressive Irish Government policy. In the end, it seems to us that limited checks at British ports may be possible, but only to augment a regime of equivalence for regulatory standards for live animals, food and other sensitive goods produced in Northern Ireland. The EU may finally accept trusted trader arrangements and forgo border checks, simply ignoring the plethora of small traders and tradesmen who ply their livelihoods around the border as they have for decades. Nothing, however, can overcome the claims of Ireland’s Foreign Minister Simon Coveney that that it is the idea of a border rather than any physical reality which offends Irish nationalists and will cause disaffection. It is important to note that it is only this psychological aspect that involves the Good Friday Agreement (GFA), since there is nothing in the text of the GFA about a border and precious little about the EU. Since the UK is leaving the EU, and the Irish Republic has no intention of doing the same, the existing border will inevitably take on new functions. Both Ireland and the EU should accept the UK’s sincere efforts to ensure that it remains virtually invisible and causes minimal inconvenience to people or firms. Irish nationalists may play up the hurt to their feelings of identity, but this is unlikely to cause violence in a context of an invisible border, except at the margins as at present. All 27 remaining EU members reiterated their backing at Salzburg for the Irish proposals. Theresa May has said she will look again at the backstop. She needs to return to the earlier UK option for an invisible land border within the island of Ireland, and to put technological solutions back on the agenda. The UK has been weak in not attempting to demonstrate how this could work but now needs to make up for lost time. [i] Sir Martin Donnelly KCB CMG Formerly permanent Secretary, UK Department of Trade. BBC Newsnight 17th September 2018.